Dylan Ireland possesses a rare talent for understanding what makes hip-hop so relevant to so many people. It’s not the thumping beats or ecstatic arrangements (although those things do help); it’s the lyrical insight it provides into all manner of personal and universal struggles which makes it so relatable. There’s a sense of communal experience and association which permeates the genre and allows it to insinuate itself into the lives of its listeners, providing guidance and assistance when needed. Whether you’re looking at social inequity through the lens of old-school rap or wandering the frontiers in search of hip-hop’s latest micro-genre, you might be drawn in by the raucous beats but you’re going to stay for the cognizance of its words and intentions. Ireland, for his part, has no difficulties drawing you in with a dizzying array of sounds before knocking the wind from your lungs with his own lyrical wizardry. 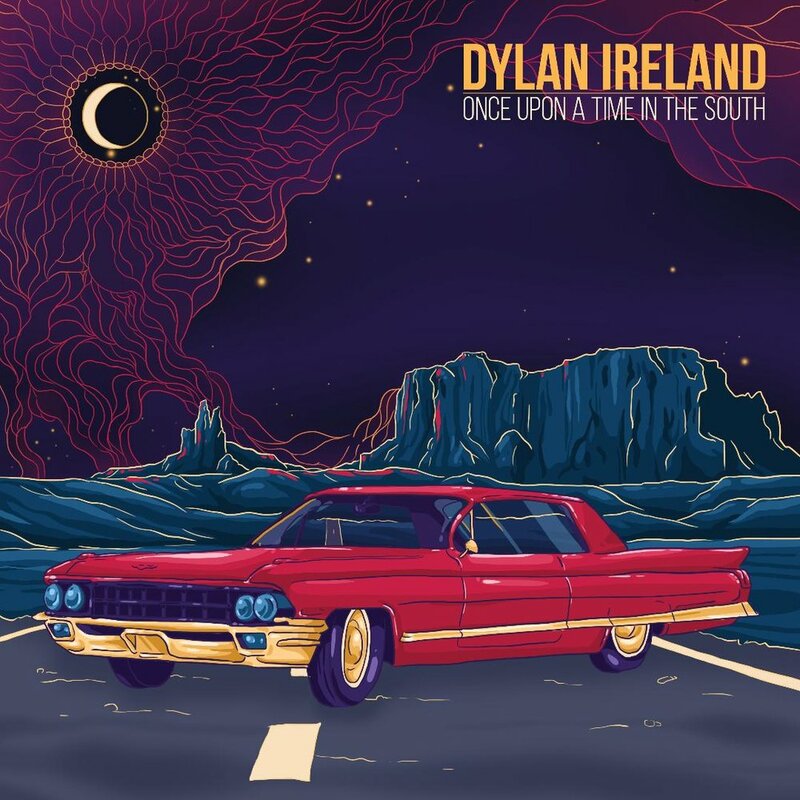 “Catch Me,” the opening track on Ireland’s new EP, “Once Upon a Time in the South,” is a statement of intent, of direction — a warning to those who doubted him and an acknowledgement of his own personal struggles and history. Filled with sharp keys, elastic beats and a potent vitriol, it’s a fascinating and compelling snapshot of what’s to come. “Silenced” evokes a dark, moody atmosphere while “Burnout,” which finds Ireland adopting a complex and rapid-fire rhyme scheme, offers his trademark braggadocio and swagger bathed in wobbly synths and echoing percussion. He covers a good deal of ground over these 6 songs, providing a roadmap of his numerous influences and experiences while carving out a niche all his own. “City Lights” combines glistening keys with reverberating beats as he paints a portrait of youthful memories and reckless nights. Album closer “Wow” is an ellipsis of sorts, an ending that opens the door for something much larger in the future. The music is minimal at times but possesses an innate fire and emotional significance. Also, the fact that he sneaks in references to “Danny Phantom” and “Final Fantasy VII” (and countless other pop culture properties) is a testament to his ability to dismantle just about anything in service to his rhymes and extraordinary stories. “Once Upon a Time in the South” may land just south of 20 minutes, but it’s packed with enough rambunctious ideas and clever wordplay to fill a full record from any other artist.